Made of leather and set off by a creamy saddle stitch. Secure your jewelry in compact style with this luscious zip-around piece. 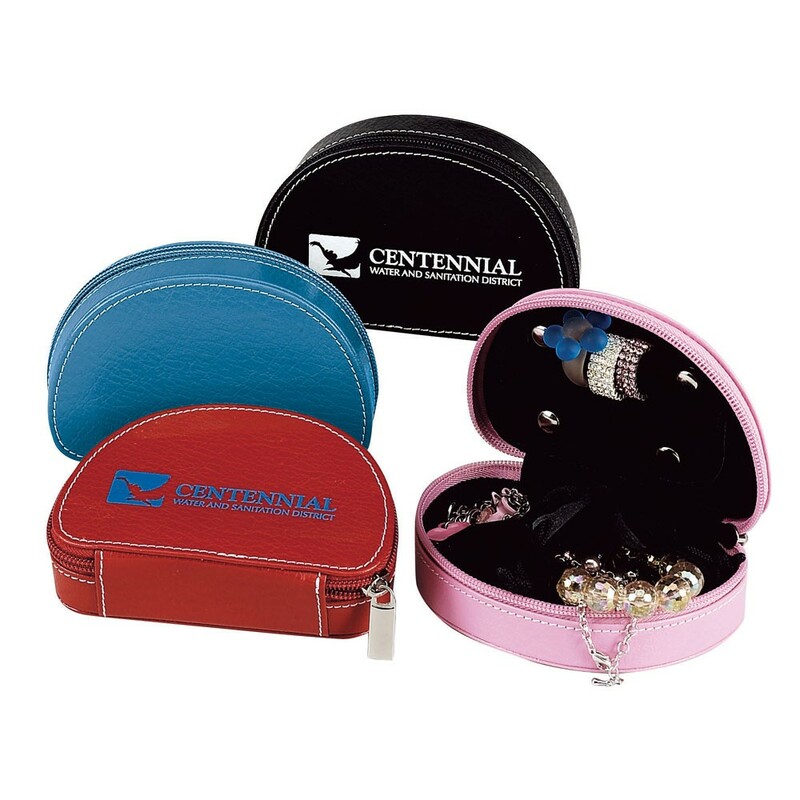 Inside securely holds your rings, bracelets, earrings, necklaces or watch. Compact to fit inside a purse. Ideal piece for home or when traveling.